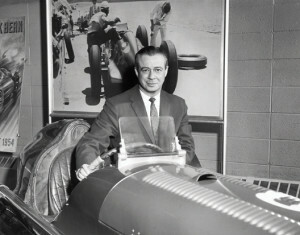 Sid Collins is best remembered as the iconic radio voice of the Indianapolis 500 race. 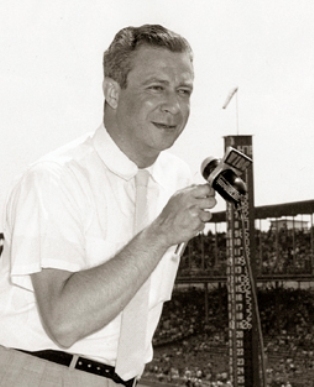 Born Sidney Cahn, his first broadcasting was at the Indiana University station. Collins worked at WKMO, Kokomo, before moving to WIBC, Indianapolis, where he was an announcer and salesman. For 25 years he was chief announcer on the Indianapolis Motor Speedway Radio Network, orchestrating coverage by a team of reporters stationed around the track and in the pits. 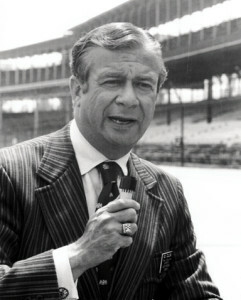 In his early 50’s, Collins developed ALS and, in pain and despair, took his own life a few weeks before the 1977 race.